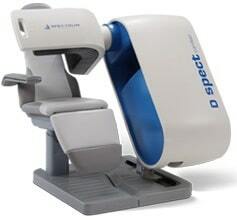 The D-SPECT is the industry’s first CZT based solid-state clinical cardiac imaging system. The D-SPECT significantly shortens acquisition times, allowing unprecedented patient throughput and next generation diagnostic applications. BroadView imaging technology substantially improves sensitivity by collecting photons using innovative collimator and scan geometries. By employing a unique implementation of views selection in the scan pattern, the D-SPECT resolves the inherent trade-off between resolution and sensitivity. BC Technical is the exclusive U.S. service provider for the D-SPECT Cardiac System. You can rely on BC Technical’s nationwide service for quality, warranty, technical and clinical support.